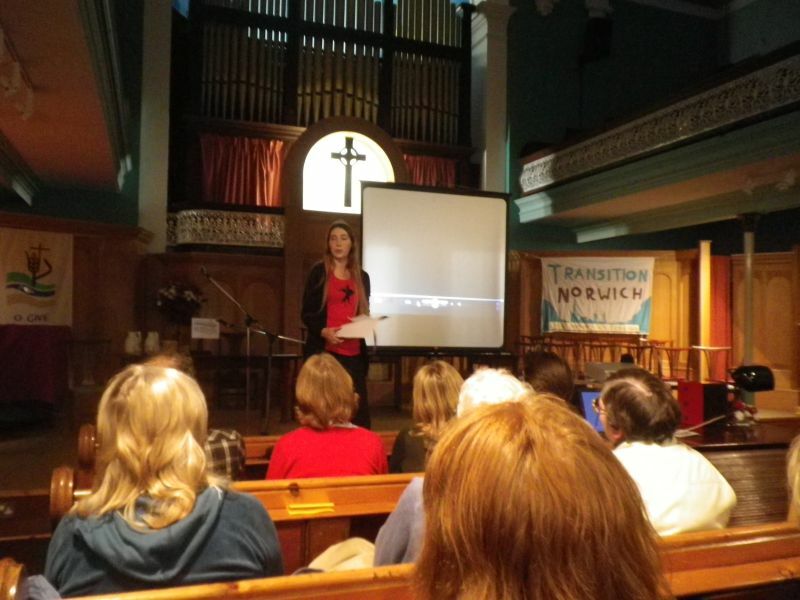 This three-years-on celebration featured a new film about Transition Norwich (which I’ll post here when it is online), a talk by me followed by questions and answers, and then lots of chatting, eating cake, drinking tea and signing copies of The Transition Companion (unfortunately the batteries ran out in my recorder, so I have no audio of the actual event itself). At the end of my talk I dedicated it to Richard Douthwaite, who had passed away the previous day. 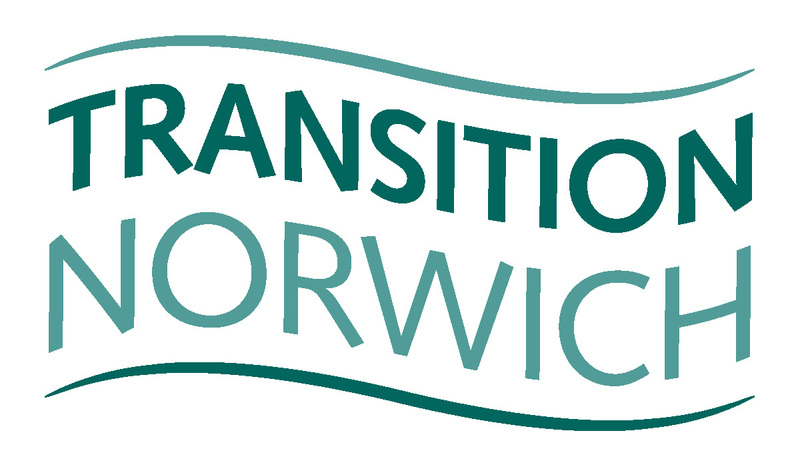 Transition Norwich are doing some amazing things, and in order to capture some of the voices of some of those who have been involved and the story of Transition Norwich thus far, I interviewed 6 members (thanks Tierney for the loan of the batteries!) and on the train home created the following short podcast capturing where they have come from, where they are now, and where they think they are going. My thanks to everyone there for their amazing hospitality. 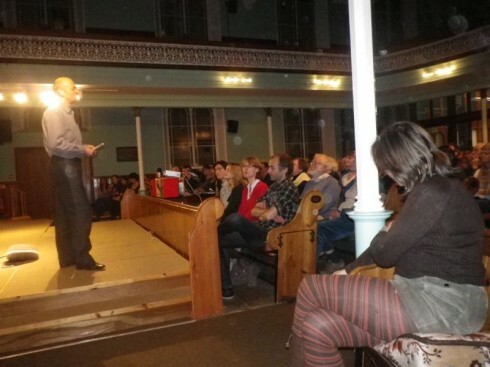 Here are a few photos from the visit…. Elena introduces one of the sections of the evening's event. 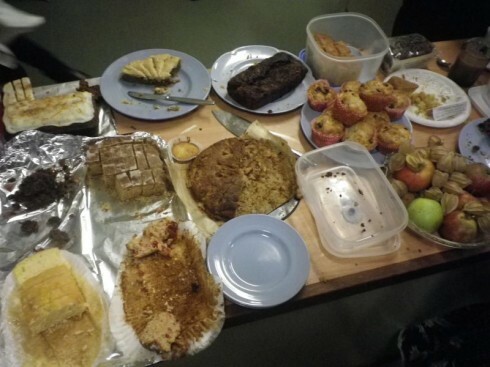 Some of the fine cakes on offer at the end of the evening. The next morning I visited the Grapes Hill Commuity Garden in Norwich, which had been recently reclaimed from a rather unloved piece of tarmac, and is now home to over 220 different plants, many of them edible. 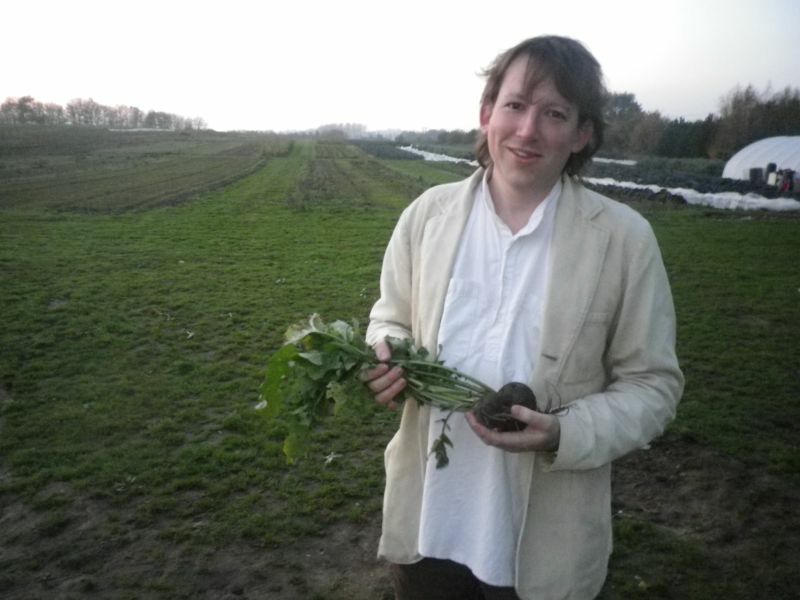 It was a pleasure to be able to show you what’s happening with FarmShare and to hear your thoughts on transition more generally. Unfortunately, with a podcast I can’t very well say that you misquoted me, but can I take that back about us having closed meetings. It’s not true. We actually even have a procedure for bringing people up to speed, so that this doesn’t have to be done at meetings where discussions and decision making are ongoing from one meeting to the next. Thanks for the clarification Erik, and it was great to meet you, and thanks for your time. 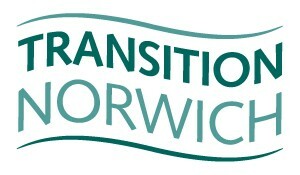 Congratulations Transition Norwich! The accents are music to my ears here in the Pacific Northwest/USA. 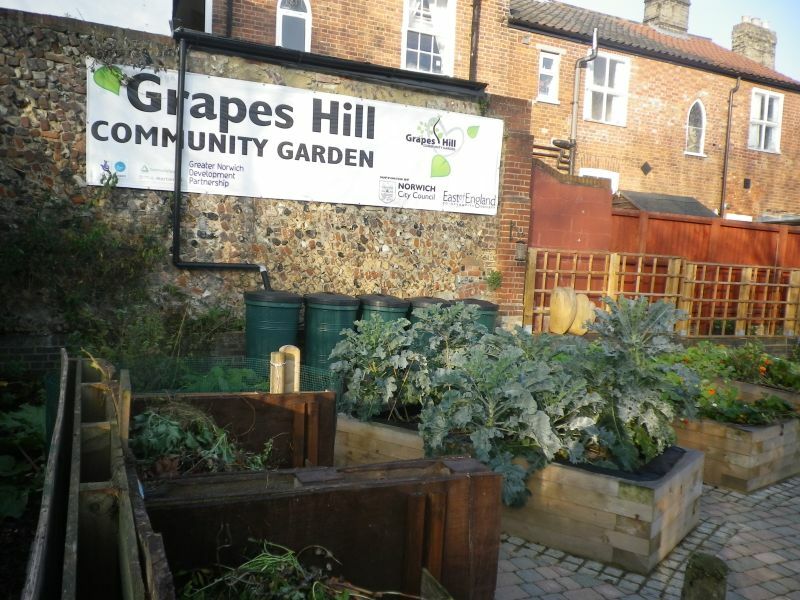 Your community is an inspiration!